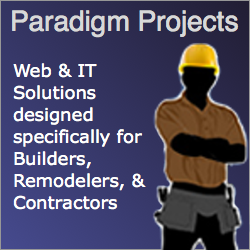 Good Web Design & Development Is The Creation Of A Website & Web Strategy That Solves A Communication Problem. It’s not just graphic design although understanding and applying good graphic design principles is a part of it. It’s not just copywriting although understanding and applying good copywriting is a part of it. It’s not just computer coding although understanding and applying good computer coding is a part of it. Something I learned back in college when I was studying to be a theatrical set and lighting designer was that it didn’t matter if you designed an artistic masterpiece, the most spectacular beautiful sensational set and lighting design ever. What mattered and what really made any design successful was was it the right, the best, design for delivering the plays message to the audience. The same thinking is applicable to web design. Its not just one thing It’s the whole thing that matters. I work with HTML 5, CSS, and Sass (Syntactically Awesome Stylesheets) generally and preferably on the WordPress platform most commonly using the DIVI theme platform from ElegantThemes. 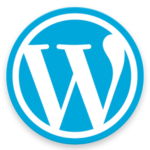 WordPress is open source Content Management System (CMS) software and it currently powers around 25% of all websites on the Internet. Open source means that there are tens of thousands of developers all over the world contributing to it development and ongoing improvement. By using WordPress I can develop a flexible and customizable website that meets the latest modern standards and observes web development best practices and with a large community of web developers that use WordPress I can tap in to this collective intelligence and bring that wealth of experience to your project. Or maybe in the case of your business a CMS like Expression Engine, Drupal, and Joomla might be a better tool or a better fit. Or maybe even using a CRM tool like InfusionSoft or Hubspot is the best solution. I’ve worked with those platforms and tools too and we’ll talk and come up with the best solution to fit your business needs. I can relatively quickly create beautiful layouts with ease and control over every part of your site without havin to write all my HTML PHP and CSS code from scratch. In short like the FileMaker Pro tools I also use for building web applications and database projects Elegant Themes DIVI is a Rapid Application Development (RAD) tool. And very similar to WordPress there is also a large community of independent developers building and designing Themes Plugins and other tools for the DIVI platform. 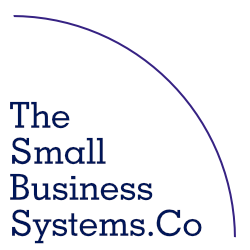 I also work with themes from WordPress theme developers that I might recommend for your project too and you can take a look at some of those recommends providers on one of my other websites here: Some Of Our WordPress Premium Themes We Recommend & Like To Work With – The Small Business Systems Company. 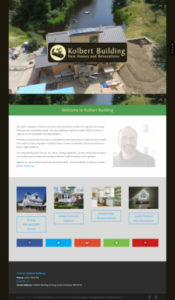 I recetlay remodeled the website for my friend and building and remodeling colleague Dan Kolbert and you can view my blog post on it here: New Website Design For KolbertBuilding.com and for a more expansive look at my work you can visit: Our Web Design Portfolio – Paradigm Projects for commentary and links to various projects. Where and How Do I Work? While I work out of my home office in Avon CT and can easily meet with clients in the surrounding Farmington Valley and Hartford county communities such as Simsbury, Canton, Bloomfield, West Hartford, Farmington, Burlington and Bristol I also travel back to Fairfield county CT and Westchester county in New York where I spent my whole life up until 2015. I also work with small businesses from around the United States and Canada and I even have a few clients scattered on other continents too. 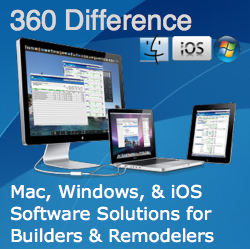 I use tools like GoToMeeting, Fuze, and Skype for virtual meeting and training sessions and make recordings of those sessions so that the clients I work with can reference them again later too. While you are looking at my own “personal-resume-type-website” I am the chief cook and bottle washer for ParadigmProjects.com where I work on business process improvement projects for architects, builders remodelers contractors and other members of the home & garden industry based on my lifetime experience there and TheSmallBusinessSystems.co where along with my team of associates provide those same kinds of services to other businesses too.